Join us from 5-7pm on Thursday 15th November to find out about our postgraduate taught, research and enterprise opportunities. 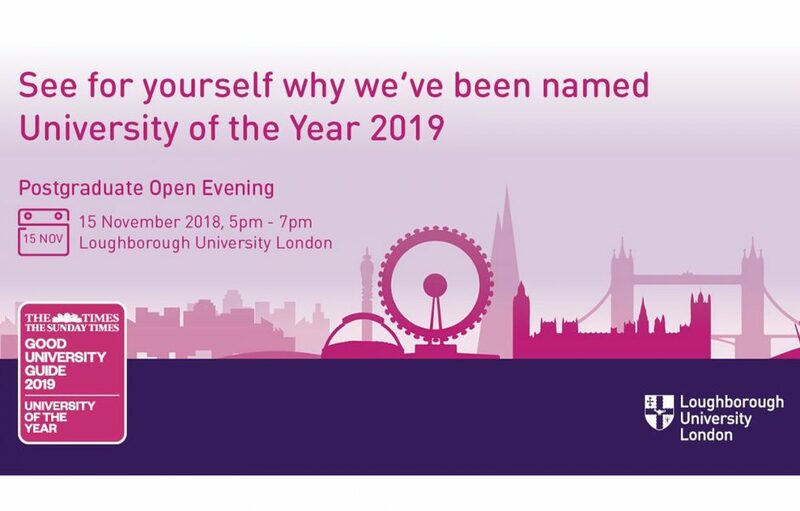 If you come along to our Open Evening, you will receive a tour of our stunning campus building and hear from students and academics from every discipline, who will be able to share knowledge and advice about any aspect of our programmes, teaching, research and facilities. The event will be held on the ground floor of our campus, which is located inside Here East on the Queen Elizabeth Olympic Park. For advice on how to reach our campus from wherever you are, please visit our how to find us page. For more information and how to book your place, please see our webpage.